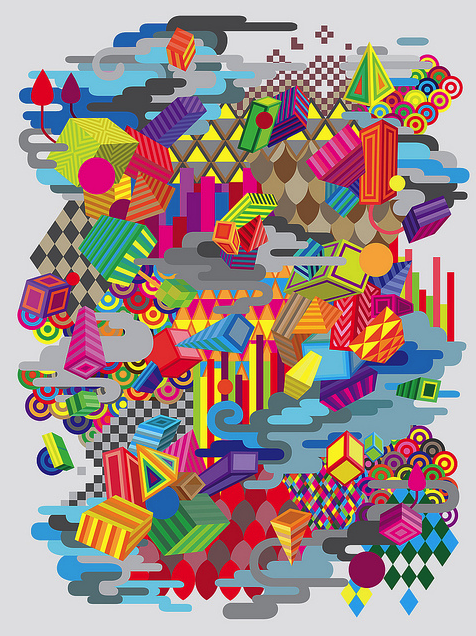 New t-shirt design ‘Psychedelic Shape Overload‘ is up on Threadless and you can vote on it and have it become an actual shirt! It’s fun, hip and full of colors! Designed by mrspiers, whose other design work can be found on Flickr. If you like this design, head over to Threadless and vote! New works by Cologne-based artist Cosima von Bonin will be on exhibit at her sixth solo show in New York, The Juxtaposition of Nothings, at the Friedrich Petezel Gallery, which opens March 31 and runs through April 30, 2011. Cosima von Bonin, one of the most prominent artists of her generation, has always been multifaceted, by incorporating a mixture of sculpture, installation, painting, textiles, performance, sound, and film in her work. She continues to stretch the definition of an artist not only through her diverse material practice but also by assuming the roles of curator, critic and producer. In her current exhibition at Friedrich Petzel Gallery, von Bonin presents fabric wall works accompanied by three new sculptures: a Pinocchio on a high chair, a street lamp smoking a cigarette, and a lazy rabbit as a “sloth” supine on a table. Von Bonin’s approach often has a collaborative element: she has organized numerous exhibitions and events with fellow artists, musicians and theorists. In this exhibition, soundtracks composed by Moritz von Oswald accompany the artworks. These compositions will be heard in pinpointed locations throughout the gallery. Visit our Gallery & Museum listings for gallery information. 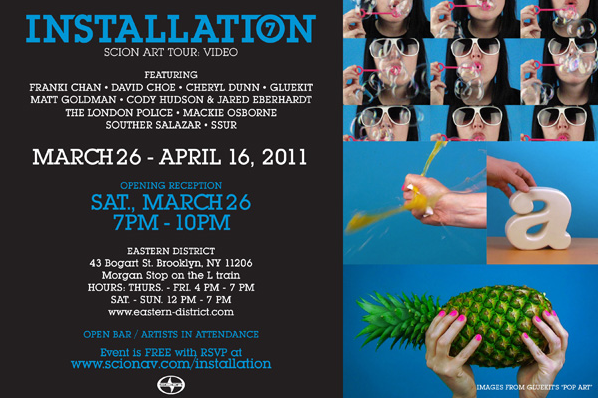 We told you about Scion “Installation 7″ National Video Art Tour last month which opened February 19th in L.A. For all you East Coasters there will be an opening reception for the tour this Saturday March 26 at Eastern District in Brooklyn, NY. Featured on the national tour is The London Police. Known for their iconic LADS characters and precision marking, they have recently celebrated 10 strong years in the art world. Their work has graced streets and galleries in over 35 countries. London policemen have come and gone but founding members are still known to walk the streets of every city in the world spreading love with pens and stickers. 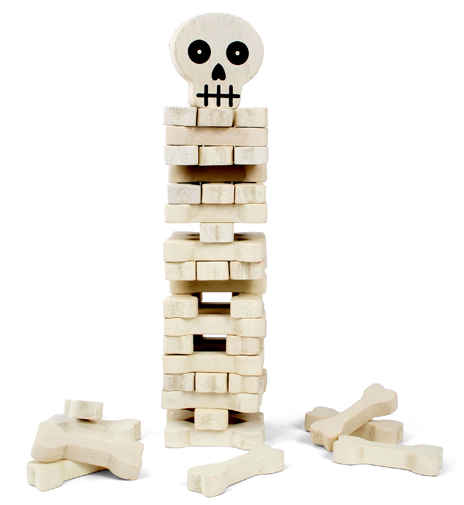 Stack the Bones is a Jenga-type wooden stacking game with skull and bones motif designed by Chris Collicott. We dig it! It is available from Kikkerland design. Spoon covered robes, finely sliced faces, and car wash flop cloth head pieces pepper this interesting music video from unique-sounding Berlin based group Bodi Bill titled ‘Brand New Carpet’. The track is off their newly released album “What?”. 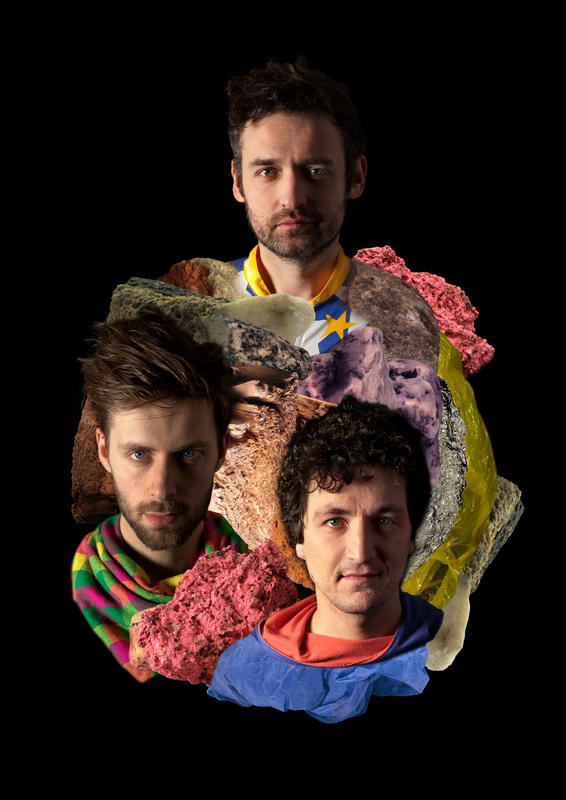 The three of Bodi Bill grew up in the Berlin underground scene. Skylar Fein’s recent work titled Black Lincoln for Dooky Chase will be on view at the Brooklyn Museum through August 2011 as the centerpiece of an installation including related works from the permanent collection. 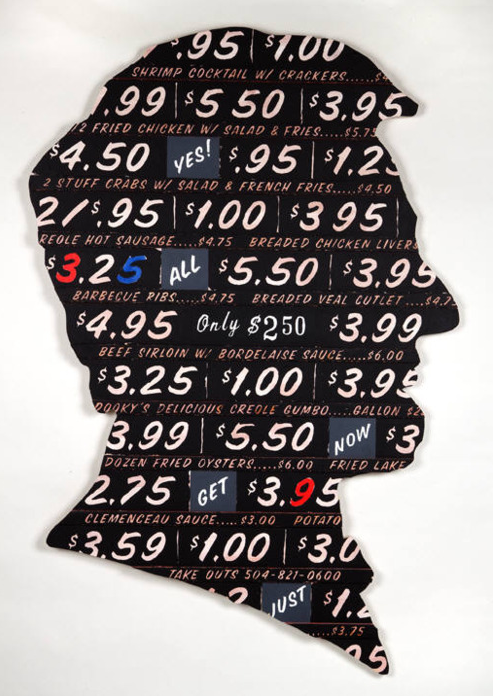 In Fein’s 2010 work he overlays a silhouette portrait of Abraham Lincoln on a panel created to resemble an old wall menu from Dooky Chase, a well-known New Orleans Creole and soul food restaurant. Fein’s portrait, painted in acrylic on plaster and wood, will be displayed alongside such works as an 1871 marble bas-relief profile of Lincoln, early nineteenth-century cut-paper silhouettes by French artist August Edouart, and Kara Walker’s 2005 Cotton Hoards in Southern Swamp (from Harper Pictorial History of the Civil War). We highlighted Kara Walker’s artwork last year and you can see a video of Walker’s silhouettes here. 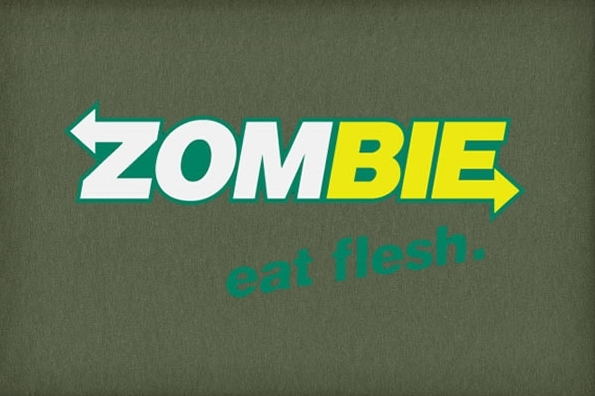 With a cool twist on Subway’s ‘Eat Fresh’ tag line, this Zombie ‘Eat Flesh‘ t-shirt design will surely turn some heads.